Everyone at PiCaM is really exited about the teacher training courses. Some countries already held theirs, others are planning fervently. After that, the materials are in the hands of the teachers implementing them in their classrooms. We're looking forward to seing our work taking shape! Simultaneously, there is work to do on the teacher development modules and the materials for teachers in training. 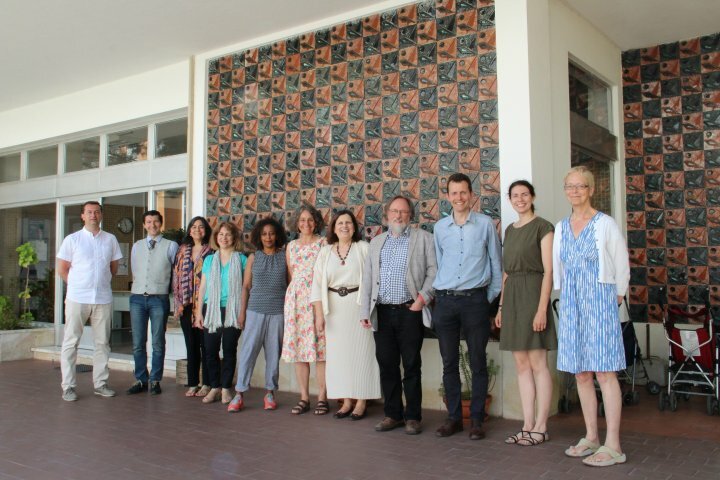 The most recent transnational meeting took place in Lisbon in June 2018. Decsy and SHU had already run their first teacher training courses. They talked about their experiences and brought some of their methods for everyone to try. This will be helpful for us other partners during our training courses that are soon to come. Most of the time was, of course, spent with important discussions and desicions (for example about our monitoring and evaluation plans). However, we also had the chance to better get to know our Portugese partners, seing the Ismaili Centre Lisbon and hearing about the city's current chances and challenges. 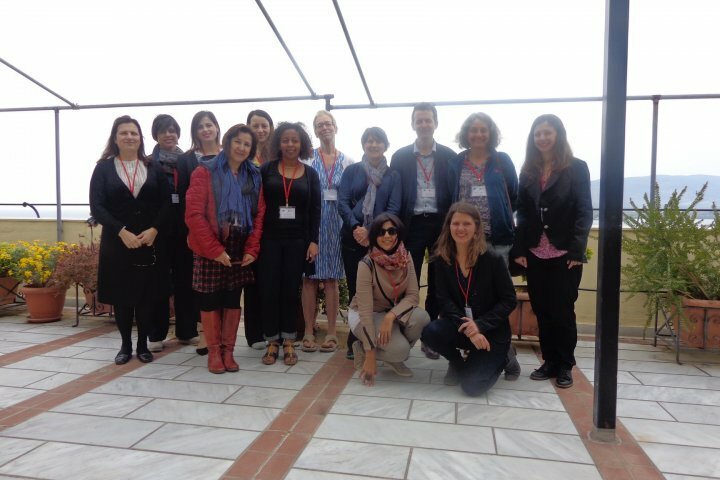 In April, all PiCaM partners met again for the second transnational meeting in Volos. Our Greek partners welcomed us warmly in their city and showed us as much of the area as possible in the short time available. Short time, because most of the time we spend, of course, working on the project. We had the great opportunity to get to know the rich and exciting draft curriculum materials of the other partners. The exchange enabled us all to benefit from the knowledge and experience of the others and we shared our thoughts on the meaning of citizenship and mathematics in our local contexts. Furthermore, we got an insight into the uses of the eTwinning tool in the classroom, talked about the teacher education modules we are going to create and discussed which methods would be most appropriate to evaluate the success of the project. PiCaM officially launched in November 2017. The first meeting took place at Sheffield Hallam University, with SHU and DECSY as hosts. The partners got to know each other and shared many fruitful discussions to get a feeling for their shared aims and on how to attain them. To create an overview of how far global learning as a concept and Mathematics as a discipline stretch and how they might interconnect, everyone collaborated on filling a matrix with mathematical concepts along one axis and global citizenship topics along the other. This is going to serve as an orientation and inspiration when designing the classroom resources. Since the meeting, everybody has been busy in their respective countries to set up their national advisory groups. 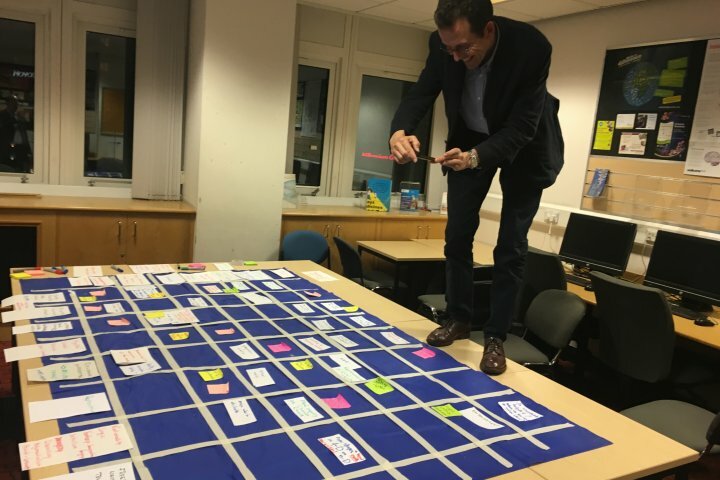 These will be boards of experts on mathematics, didactics, global learning and anything related to make sure the wide expertise that is already in the field is going to be taken into consideration. Besides, the website was set up and DECSY started developing methodological principles to further guide the project activities. Rob Unwin trying to fit everything about mathematics and global learning the partners could possibly think of in one picture.